Series founded by: Wilhelm J.G. Möhlig. Series edited by: Raimund Kastenholz. 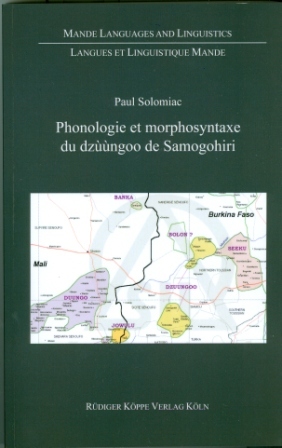 The Mande languages are mainly spoken in Mali, though stretching into the neighbouring West African countries. Greenberg classified the Mande languages as being a part of the Niger-Congo language family. Author: Mama Djilla, Bart Eenkhoorn, Jacqueline Eenkhoorn-Pilon.